Guest post from Simon Ellson. As I went gift shopping over the festive season, I found that most adverts I walked past on the London Underground had QR codes. I think most people are familiar with QR codes but if you aren’t; QR (Quick Response) codes are a type of matrix barcode that companies add to adverts and posters that, if scanned using a QR reader on a mobile device, take you to a website for further information related to the advertisement or poster on which the QR code appeared. QR codes were created and originally used by the automotive industry as an efficient way to track vehicles during the manufacturing process but they are now used widely as an advertising aid. However, they are also open to misuse by criminals; Imagine a wall of advertisements with their QR codes displayed. Then imagine how easy it would be for a criminal to stick their own QR rogue code over a bona fide one. Someone quickly scanning the advert as they walk past probably wouldn’t notice that the original QR code has been tampered with and that they were potentially infecting their mobile device courtesy of a rogue QR code. This type of attack on a smart phone is known as attagging. We all need to be aware of these dangers and be vigilant when scanning QR codes for signs of tampering. 2d Code recently provided tips on how you can scan a QR code safely. One of the tips that they gave was to install an app on your mobile device. This gives an added level of security and helps to protect your stuff. 2d Code recommends using Norton Snap. This is a free QR code reader which functions as a typical reader and also provides the added benefit of security to the scan. Norton Snap analyses web sites to see how they will affect you and your device before you actually visit that site. You can download Norton Snap via iTunes or the Android market place. 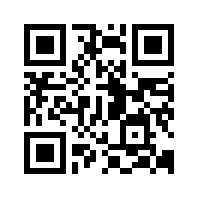 QR is short for Quick Response and if you act too quickly you could get a quick response you were not expecting. Stay safe! We're really glad you found this helpful, Alanda. Check back regularly on the blog for more advice and links to some of Norton's free tools!